When it comes to appliance repair, there’s an obvious difference between quality work and work that isn’t thorough. After a house or kitchen appliance breaks and needs maintenance, the last thing that you want is to have a subpar technician do the work. Rather, your priority is to get the appliance fixed correctly and thoroughly the first time. You’re looking for an appliance repair specialist that is trustworthy, reliable, and known for their quality work. Working with a company that overcharges and underperforms will cost you just more than just money, but also time and stress. Instead, taking the extra time to find an appliance repair company that comes highly recommended, has years of experience to show they are qualified, and is efficient with their work will benefit you and your broken appliances in the long run. Investing in a company that invests in you is your number one priority. A company that is not only experienced and knowledgeable, but also honest, transparent, and puts their customer first is a company you want to do business with. Here at Andy’s Appliance Repair, we are cognizant of our duty to each and every one of our clients. We know firsthand the stress that comes with a broken house appliance. In many cases, you don’t understand how difficult life can become when the tools you are so accustomed to using to on a daily basis break and become out of order. In these situations, you want a the appliance to be repaired quickly and correctly — the first time around. It is our duty at Andy’s Appliance Repair to fix whatever problem you are having with any type of household appliance, whether that be a refrigerator, dishwasher, washing machine, among others. 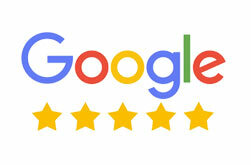 We take it upon ourselves to uphold our commitment to client satisfaction. We do this by being transparent and honest about our practices, sticking to our words and commitments, offering reasonable and affordable pricing, and performing excellent work. You, as our client, is our first priority. So what happens when a well-used household appliance breaks? You call Andy’s Appliance Repair & Parts House. 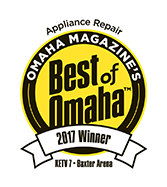 We serve many communities in Nebraska, and if you are in Papillion and are needing an appliance to be repaired, we’re the ones to call. We’ve been in business since 1971, so we’ve seen it all when it comes to the repair and maintenance of all types of name brand appliance types. Our standard of excellence has carried through our decades of industry experience, demonstrating the attention to detail, integrity, and customer service we never fail to provide. 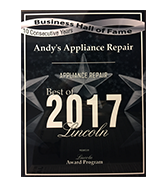 If you have found yourself in an unfortunate situation where you need to get an appliance repaired in Papillion, don’t wait any longer to contact Andy’s Appliance Repair & Parts House. Our technicians are standing by to get the job done. Keep reading to learn what types of appliances we can service (hint: there’s a lot).Take the time to contact us and schedule an appointment to learn more about how our expertise can be of service to you and your broken appliances. No appliance is the same. And on that same note, no refrigerator is the same either. Refrigerators play an integral role in a household. It’s duty to store and cool food is one that most people cannot go without. So when the refrigerator breaks, stops working, and/or becomes damaged, it can be put a damper in our daily routines. Not only that, but you may be worried that you’ll have to toss out all the perishables stored in your (now defunct) fridge. You’re on a time crunch; your fridge needs to be fixed, and it needs to be fixed fast before all of the food goes bad. So what do you do? You call Andy’s Appliance Repair for same-day-service. When it comes to local fridge repair, we know that the matter at hand is pressing and that you need your refrigerator to be back up and running as soon as possible. Our same-day-service fridge repair is the answer to the inconvenient problem you’re facing. Our approach to servicing refrigerators is not only effective, but it’s efficient, meaning the service and repair job will be done and your fridge will be up and running before you know it (and before all the food in there goes bad!). For efficient and thorough same-day-service for refrigerators, contact Andy’s Appliance Repair today. Just like a stove, an oven is just as important in the workings and efficiency of a kitchen. When an oven breaks for one reason or another, it’s best to get it looked at and repaired as quickly as possible so the problem doesn’t persist and so that you can get back to using it the way it was intended — to bake and heat food! 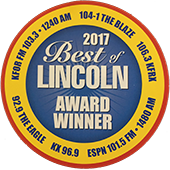 If you’re looking for a local appliance repair company in Papillion to fix and repair an oven, Andy’s Appliance Repair is the place to call. Why? For a few reasons. For one, we never settle for anything less than excellent quality. Whatever problem you are experiencing will be completely addressed by our technicians and a solution will be solidified. Our technicians are highly experienced and knowledgeable. For a company that has been in business for over a quarter of a century, you should expect nothing less. Secondly, we service a variety of brands, including Thermador, Dacor, Kitchenaid, and manymore. No matter how old your oven is, the issue you are facing is one that deserves to be addressed by a professional who excels at their job and cares for their clients. A broken and damaged dishwasher can cause a lot of stress, as it plays a vital role in a kitchen. Not only are dishwashers practical appliances, but they are essential for sanitary purposes. When you discover that your dishwasher is not working, you realize how much of a pain it is to wash each and every dish and utensil you use by hand. But don’t think this is how you’re going to be living for the rest of time. There is a solution, and that is Andy’s Appliance Repair & Parts House. In addition to refrigerators, stoves, and ovens, we are proud to service dishwashers. As a local appliance repair company, we know the frustration that comes realizing an important tool if your household is not functioning the way it was intended. That’s why we are committed to offering only the highest quality repair and maintenance services in the Papillion community. While you may not want to think about it or accept it, the fact is that washing machines can break. These big and heavy machines are as susceptible to damage as any other household appliance. If and when your washer decides to stop working properly, you may feel tempted to fix the problem yourself. However, it’s best to call on the professionals for these types of jobs, no matter the problem at hand. When it comes to fixing washers, you don’t want to make the problem worse by attempting a quick DIY. In many cases, especially if you’re not experienced with appliance repair, fidgeting with the machine yourself can cause even more severe problems to occur. Instead, all you should do is pick up your phone and call your trusted washing machine repair technicians at Andy’s Appliance Repair & Parts House. As you can see, the appliances we repair and do maintenance on is vast. We’ve been open since 1971, so we have truly seen it all. Whatever household appliance you are having difficulties with, don’t hesitate to contact Andy’s Appliance Repair & Parts House to get the problem fixed. We make an effort to be as time-efficient with our work as possible without sacrificing our quality or integrity. When you choose to work with us for your local appliance repair needs, you’re choosing a company that doesn’t settle for anything less than a job done right and the way it was intended. 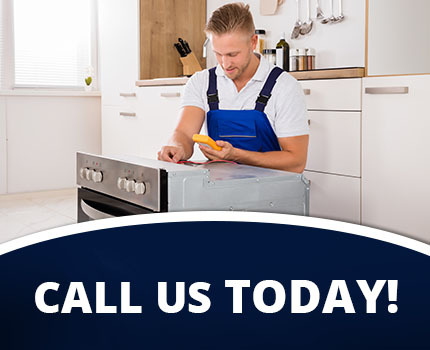 Whether you’ve reached out to us for stove, oven, refrigerator, dishwasher, or washing machine maintenance and repair, or another appliance that is not listed above, our technicians are standing by waiting to get the problem fixed as soon as possible. Take the time to contact us to learn more about the appliances we can service. Schedule an appointment with us online today. We can’t wait to get your household appliances back up and running.